Fortress Under Siege celebrating their contract with Metal Mad Music and want to give their friends an idea of their forthcoming album by offering for free streaming the opening track. The song is also available for as digital download at the band's ReverbStore. 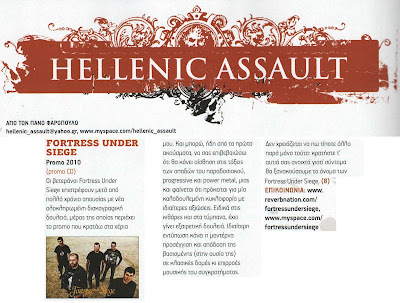 Metal Mad Music wants to welcome the Greek melodic, progressive power metal band FORTRESS UNDER SIEGE to the label's roster. 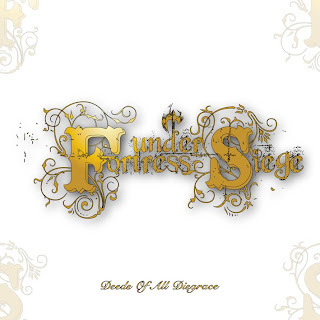 FORTRESS UNDER SIEGE, "The Mortal Flesh Of Love" new album will be released through Metal Mad Music during summer 2011 and official release date announcement will follow soon. Within the next few days a full track from the new album will be available for streaming through band's official ReverbNation page http://www.reverbnation.com/fortressundersiege. We want to thank Panos Faropoulos for his review on our PROMO 2010, in the last issue of the Metal Hammer mag!